Height to 20-25cm. Hardy in USDA zone 8-10 so will need protection in harsh winters. Evergreen fronds have small hairs and exude a scent not dissimilar to Geraniums. They need a well drained compost and like most xeric ferns dislike winter wet. They like a bright position and plenty of drainage. They will need a long cool root run so a rockery is ideal. 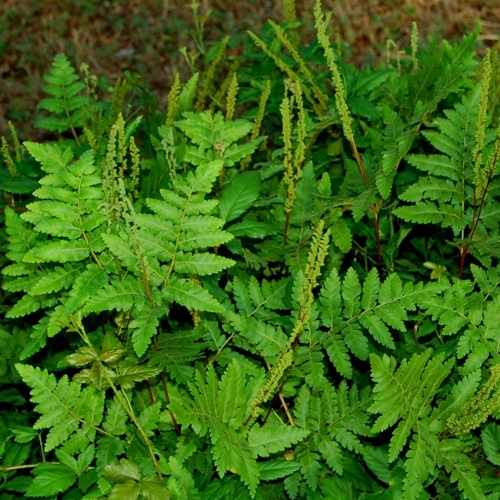 This fern is a native of northern Argentina, specifically the Catamarca province. They are most often seen growing amongst rock and rubble, this giving them the drainage they need. They respond well to a good watering in the summer as they are coming into growth.